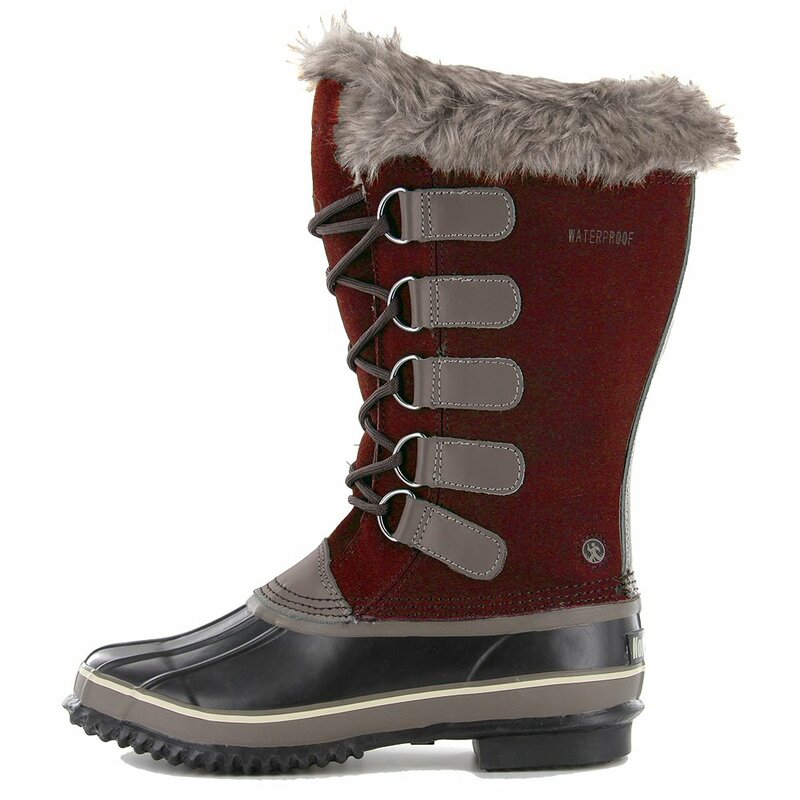 The Northside Kathmandu Boot keeps your feet warm in extreme cold without compromising comfort. Seam sealing and a topical spray keep out moisture, so your feet stay dry. A removable EVA insole is supportive and comfortable to keep the spring in your step, even after many hours on your feet. The Kathmandu Boot comes with All-Terrain Grip so slippery winter surfaces won't get you down. "What color is the base? Navy or black?" "The base color on both colorways of this boot is black." "Do any of these boots come in a narrow size???" "Unfortunately we do not carry these boots in a narrow width. " "What is the boot height?" "This boot is 12½" high." "What is the circumference of the top of the boot?I have quiet large calves.Thank you." "The circumference of the top of the boot measures 14 inches." "Do your boots come in wide "
"The Northside Kathmandu Boot is not available in wide." "Does this come in a size 11? It's a Christmas gift for my wife." "It does not look like we carry a size 11 in the Northside Kathmandu Boots. All of our available inventory will be reflected at the current time on our website. Hope this information helps. " No I returned them because of defect inside. Returned boots and bought others.